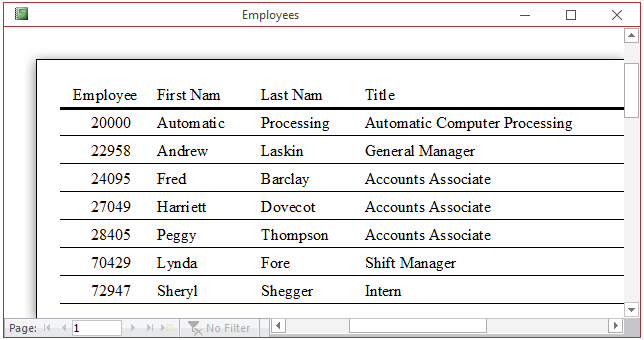 You can print data using a table or a form, but the favorite object to print records is the report. As mentioned in previous lessons, a report shares many characteristics with a form. Still, just like forms have some particular characteristcs, some aspects are uniques to reports. Another fast way is by using the Report Wizard. 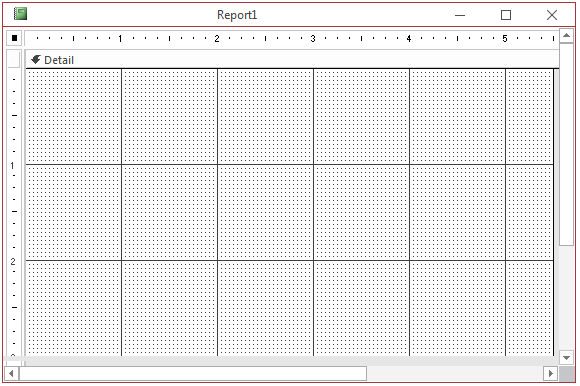 To start it, in the Reports section of the Create tab of the Ribbon, click the Report Wizard button. This would launch a wizard that you can simply follow (we already saw how to use the Report Wizard in Lesson 3). To start a report as blank piece of paper, on the Ribbon click Create. In the Reports section, click the Blank Report button. To create the types of labels that are sometimes glued on an envelop or a paper folder, click the Labels button on the Ribbon. 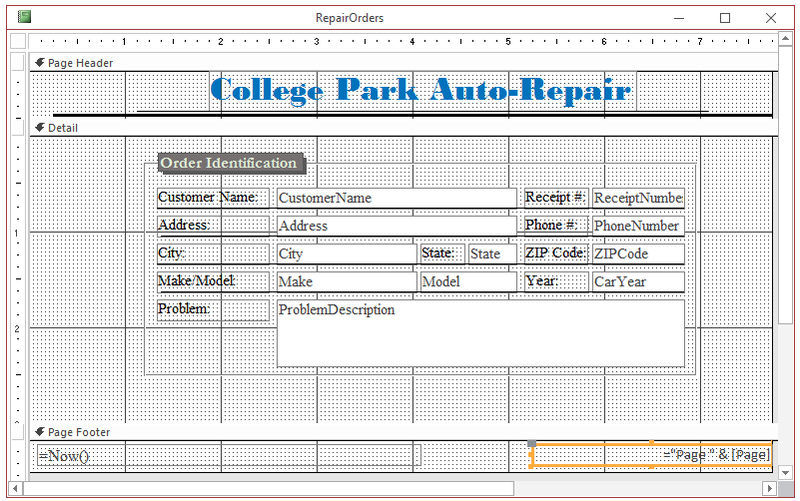 Like a form, once opened, a report is represented by a tab or a title bar (for an overlapped database) that displays its name. By its definition, a report is presented like a piece of paper. Therefore it uses a white background. When it comes to report design, the rules to add and manipulate the controls are the same we reviewed for the form. We studied the techniques of control design from Lessons 6 and subsequent lessons. Although some of the issues concerned only forms, most of what involves design is the same for forms and reports. 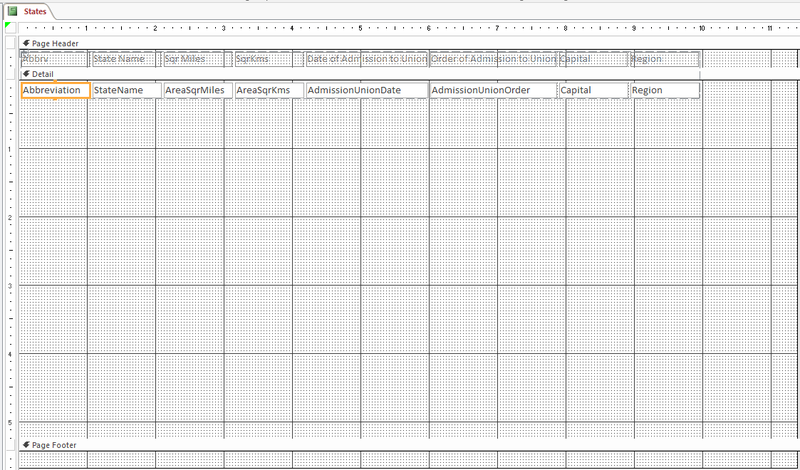 Data on the controls of a form or report falls in three main categories: fields that directly originate from a table, an expression created as a combination of existing fields, and values independent of any field. 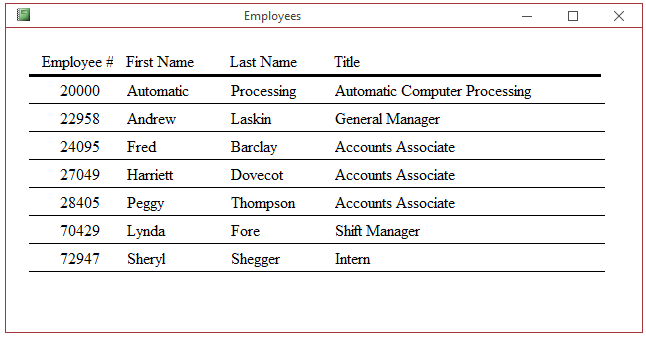 Before or when creating a report, you can specify the table that holds the records. There are various ways you can do this. 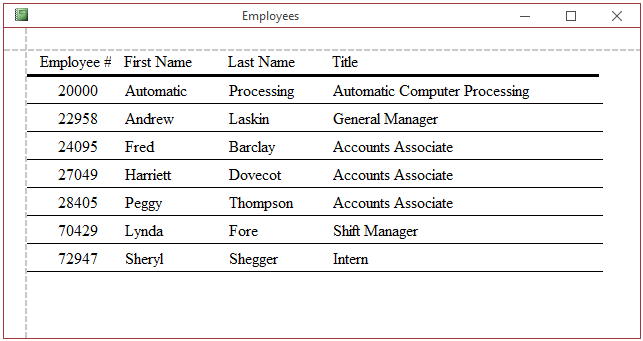 If you have already started a report and it is displaying in Design View but you did not yet select the table that holds the records, in the Data or the All tab of the Property Sheet of the report, click the arrow of the Record Source field and select the table from the list. As done for a form, in the Design View of a report, you can add, position, format, configure, and manipulate the necessary controls. Of course, you can also select objects from the Field List and add them to the report. The right side and the bottom-right side may display a scroll bar each. Like a form in regular Form View, the Print Preview of a report is equipped with navigation buttons. The functionality of these navigation buttons is as we described for a table or form. After using the Print Preview, to close it, in the Close Preview section of the Ribbon, click the Close Print Preview button . This would display the report in the view it previously had. Right-click the title bar of the report and click Print Preview. Unlike the Print Preview, the Report View does not distinguish where a section starts and where it ends. Like a Design View, you can use the Layout View to add and manipulate controls on a report. 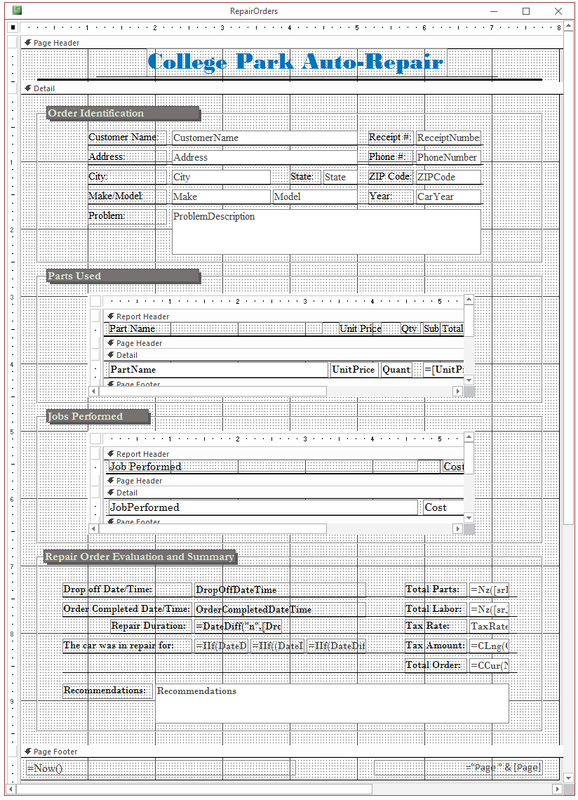 As seen for a form, the Design View of a report can be equipped with one or more sections. By default, the primary section is the Page Header. The page header is equivalent to the top section of a printeg piece of paper. 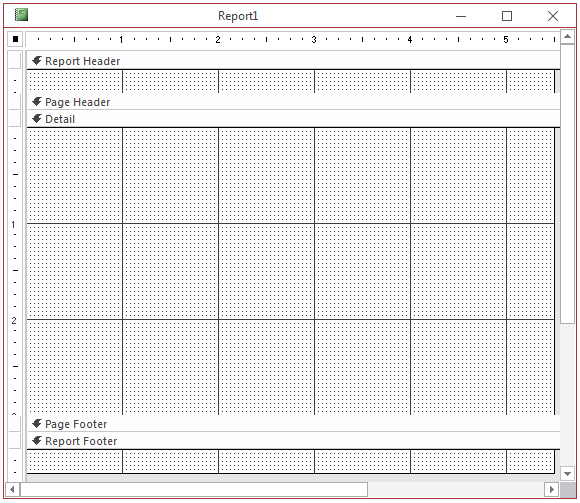 If you create a report using either the Blank Report or the Report Design options of the Reports section of the Ribbon, the report is automatically equipped with a Page Header sections. As mentioned previously, the Page Header represents the top section of the printed paper. Therefore, when designing a report, put in the Page Header the objects or text you want to display on each top part of the printed paper. For example, you can put the common title or the page number in that section. That section is also typically used to display the title of a brochure or book. 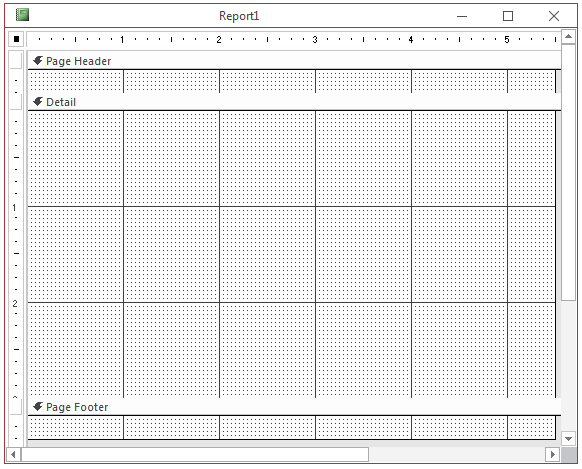 As seen for a form, the height a report displays in Design View is the total height of its sections. Of course, the solution is to narrow the body of the report (to somewhere around Measure 8 of the horizontal ruler). Because the Page Footer represents the bottom part of each printed page, you can put on it the object(s) that would display on each page. For example, you can use it to display the date the report is being printed. To create a book, a magazine, or a brochure, you may want to have a front cover. Such a section is handled by the Report Header section. 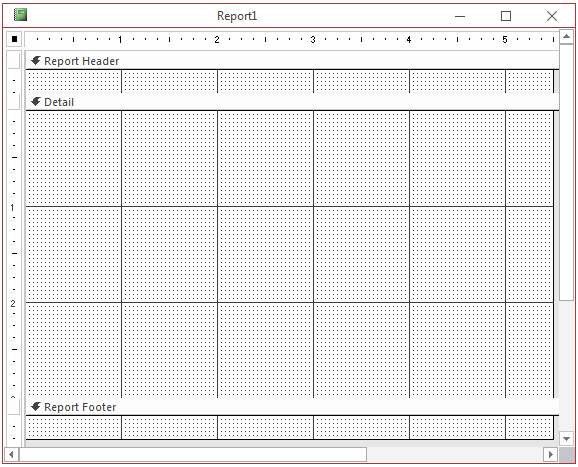 If you create a report using either the Report or the Report Wizard options of the Reports section of the Ribbon, the report would be equipped with a Report Header and a Report Footer sections. If you have a report that doesn't have these sections and you want to add them, right-click the report in Design View and click Report Header/Footer . Otherwise, if you are creating a book or brochure that would represent a list of various items, you should equip it with all these five sections. Some controls are not available for the report because such controls don't have any role in a report. An example is the Web Browser. Some other controls are available but you should really decide if you need them and why. Examples are the buttons (the Button and the Toggle Button) and the Attachment. Other than that, you can use the controls from the Ribbon to populate your report. In the Controls section of the Ribbon, click the Option Group and click the Detail ection of the report. If you want to show the current date and/or time on a report, use the Date and Time control from the Controls section of the Ribbon. We reviewed in Lesson 14 how to use it. In a report meant to display various records on its many pages, you may want to display the page number. To do this, in the Controls section of the Design tab of the Ribbon, click Page Numbers and click the report. The Page Numbers dialog box would come up. Use the Page Numbers dialog box to specify what sentence would be used, and where, to display the page number. Once you are ready, click OK. The new label would be added to the Page Footer section of the report. 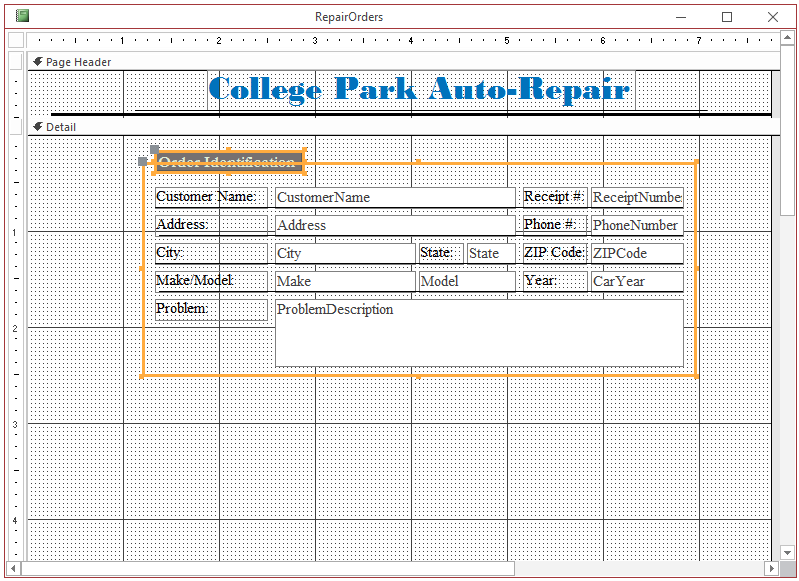 In the Page Numbers dialog box, accept the Format and the Positions selections. 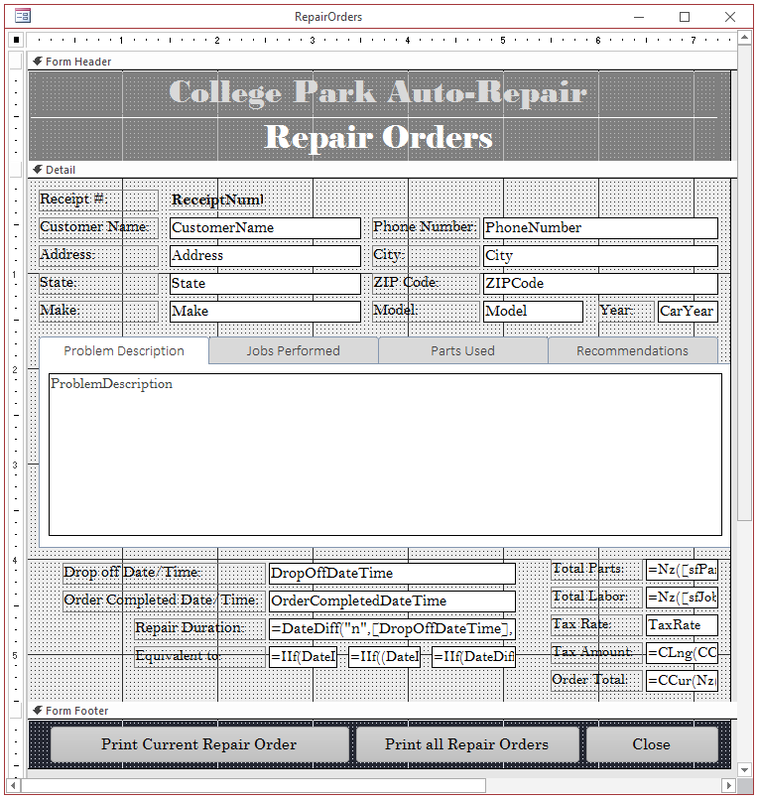 Unlike a form, a report is primarily considered in a tabular layout. This is because a report is primarily equipped with Page Header section. 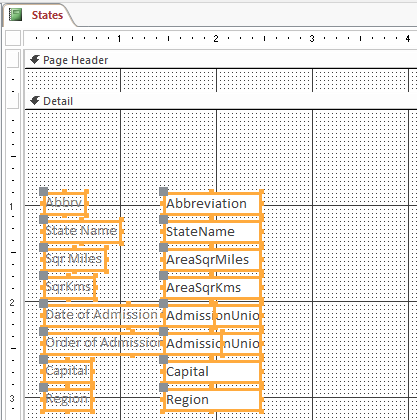 If you position some controls, such as labels, on it, and add the necessary controls, such as text boxes and combo boxes, in the Detail section, the report would behave like a tabular form, that is, a continuous view of records. You can use this feature of reports to create a tabular report without having to configure it in the Property Sheet, as done form the form. 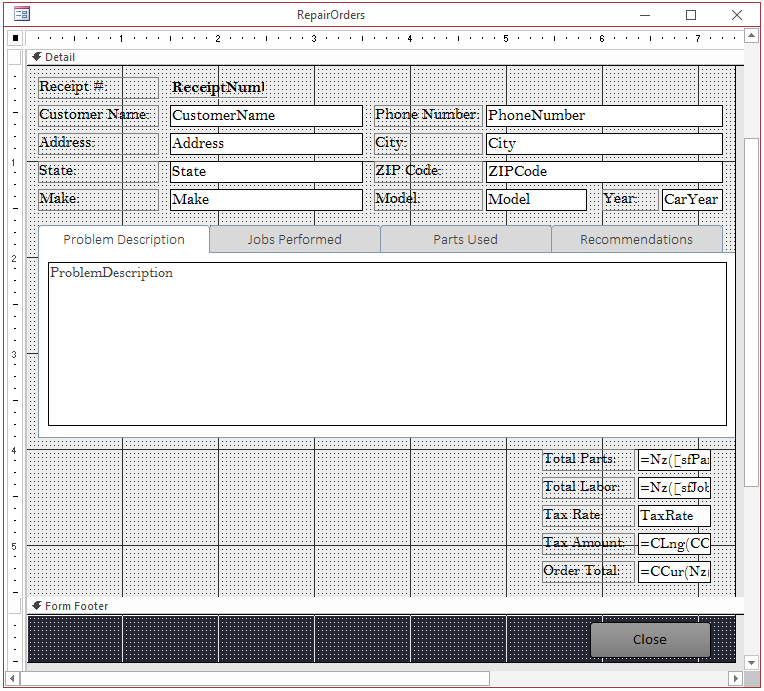 Probably the easiest way to create a tabular report is to use the Report Wizard. If you start the wizard, in its fourth page, the Tabular layout is selected by default. When you end the wizard, the labels would be automatically positioned in the Page Header section and the text boxes would be added to the Detail section. As you may know already, a sub-report is just a smaller version of a report, except that a sub-report is made to be displayed in the body of a report. 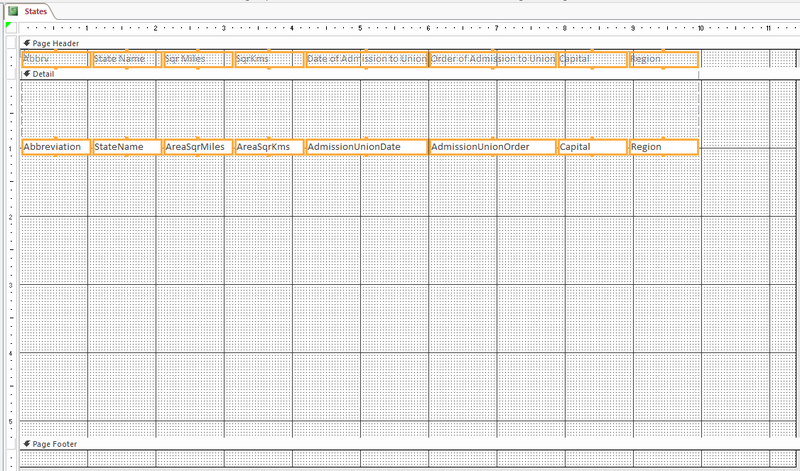 And as you may know already, a sub-report is created in a tabular layout. The easiest way to create a report and its sub-report is by using the Report Wizard. Otherwise, you can create and design your sub-report any way you like. When designing a sub-report, the controls that will be displayed on top should be positioned in the Report Header section. Then you can either completely shrink the Page Header and the Page Footer sections or you can remove them. After creating a sub-report, you can add it to a report. Remember that, as seen for sub-forms, both the report and the sub-report must hold a relationship in which the report has a primary key field and the sub-report has the equivalent foreign key. 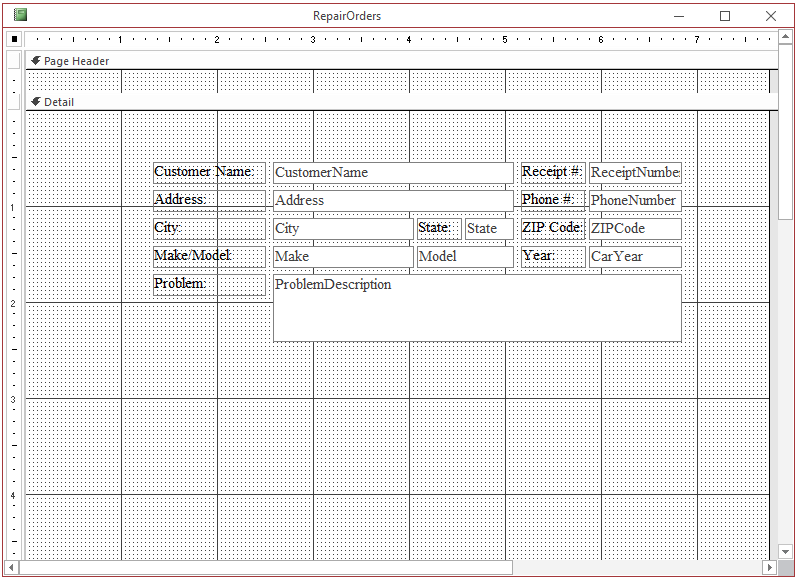 The RepairOrders form should still be opened in Design View. Control Sourcce: =DateDiff("n",[DropOffDateTime],[OrderCompletedDateTime]) & " Minutes"
To send the document directly to the printer, click Quick Print. To make it easy for users to print a report, you can add a button on a form so that the user can click that button to initiate printing. probably the best way to do this is to use the Command Button Wizard to create the button. 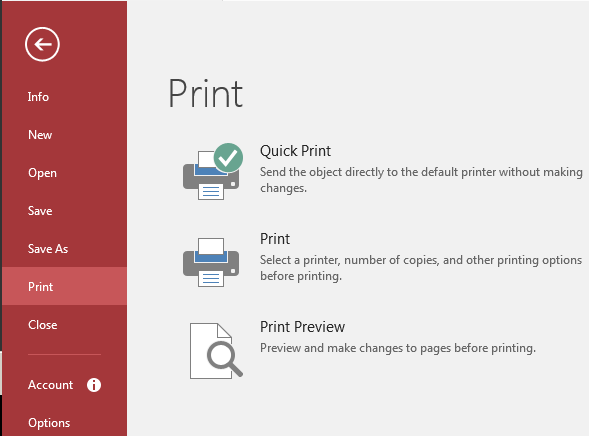 After making the selection, click OK on the Print dialog box. In a transaction-based application, a user usually wants to print only the record he or she is viewing from a form. You can assist the user with a macro. When creating the macro, you have to specify the condition by which the record would be selected. You must specify the name of the report in the Report Name combo box. To create the condition that specifies how to locate the record to print, write an expession or use the Expression Builder to create it. In the Controls section of the Ribbon, click the Button .